We are back with another issue of ‘Best of Beacons this Week’. This week we’ve got a great lineup of beacon articles in store, right from the do’s and don’ts to be followed while developing a beacon app to the must-have features that retailer should offer to ensure a seamless consumer experience both online and in-store. So sit back, sip a cup of coffee and check out the stories we have lined up for you. Despite the fact that the rise of iBeacon technology was one of the major news stories of 2015, many mainstream publications rushed to declare beacons as a fad that couldn’t live up to its hype. This lead to a huge uproar, with many business insiders stepping in to give insights on the real state of the beacon industry, the recent one being Unacast via its Q4 Proxbook report. The company revealed that the average number of sensors per Proximity Service Provider continued to grow up by 28% from 16,377 in Q3 to 20,916 in Q4. This data is a clear indication of the fact that proximity projects are fast moving from pilots to full-scale commercial deployments. 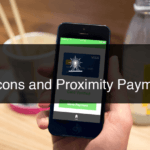 Check out this article to gain insights on some of the top proximity marketing trends for 2016. It goes without saying that every new technology (like iBeacon) demands time when it comes to exploring best practices involved in making the most of the opportunities offered by the technology. The same holds for exploring best practices around developing a beacon app as well. Today, almost two years after the launch of iBeacon, developers have begun to realize that a beacon app shouldn’t be developed with the sole purpose of pushing promotional offers to users. Instead, a good beacon-enabled app is one that clearly conveys the value being offered in return for the personal data that the users are asked for. Check out this article to learn about some of the common mistakes that brands make while adding iBeacon technology to their app and how to avoid them. Theater advertiser Screenvision recently announced its plans to create the largest movie theater-based mobile ad network by installing beacons across 300 multiplexes in the U.S. These beacons will be used to push relevant notifications (coupon for a discount on a large popcorn as they walk by the concession stand etc. ), to customers via the MovieTickets or Dealflicks apps. Customers who have opted-in will receive these push notifications even if the app isn’t open at that moment. Check out this article to learn in detail about how Screenvision plans to leverage beacons to enhance movie-going experience. According to a recent report from Accenture, while most retailers have adopted basic mobile strategies and are offering a mobile-optimized web site, very few are addressing more sophisticated consumer needs, such as offering real-time promotions or in-store navigational capabilities. So much so that, while 47 percent of shoppers want to receive real-time promotions, only 7 percent of retailers send such promotions. Additionally, 37 percent of shoppers want to use their phones to access a shopping list or find in-store items. However, only 31 percent of retailers offer mobile shopping lists and just 4 percent provide apps that help shoppers navigate a store. Check out this article to learn what are the must-have features that a retailer should offer to ensure a seamless consumer experience both online and in-store. Mileage tracking apps have been popular among users for their ability to allow users to conveniently track gas mileage right from their iPhone. And now there is a mileage tracking app that leverages iBeacon technology to take convenience to a whole new level. Once the beacon is placed anywhere within the vehicle, it will wirelessly communicate with the Mileage Count app on the driver’s iPhone to recognise when he/she enters or leaves the vehicle. Thus, it makes it possible for drivers to keep track of mileage without having to remember to turn anything on or off. Check out this article to learn in detail on how adding iBeacon technology the Mileage Count app allows for simple and foolproof mileage tracking.